Austrian power / symphonic metallers Serenity impressed our writer AP last year with their debut album "Words Untold & Dreams Unlived", which seemed to diverge from the path of genericness almost every band in this genre is destined to walk upon. I didn't have a chance to personally listen to their previous album other than a couple of Myspace listens before this review of their sophomore record "Fallen Sanctuary", and I have to say I've gotta agree with him. Those few songs are interesting on the first listen and instantly draw you closer to Serenity. 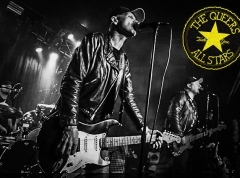 The guitar melodies are sharp and nicely contrasted with bombastic musical landscapes, usually referred to as epic in power metal with progressive overtones. Now, all bands want to progress and few want to write the same album again. My grudge with bands changing has never been with the fact that they don't sound like they used to, as long as they still sound good. Serenity, on the other hand, has undertaken a virtual u-turn on their sound, bringing in all the power metal clichés that were largely absent on their debut album, whilst removing all interesting guitar arrangements altogether. The soundscapes are more majestic, and more epic, but it's at the cost of memorable songwriting or axewielding that gives chills down your back. 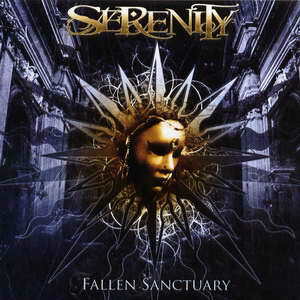 All Serenity achieve on "Fallen Sanctuary" are to fit exactly into the generic power metal mold they successfully avoided on their debut. Dignity, Fairyland, Imagika, Katra, Meliah Rage, Symphorce.. the list of bands who sound exactly like Serenity do goes on and on. To their credit, however, the instrumental landscape is among the hugest you'll come to hear, but all that the loose space effectively does is create an empty, hollow sound that speaks nothing to the listener.